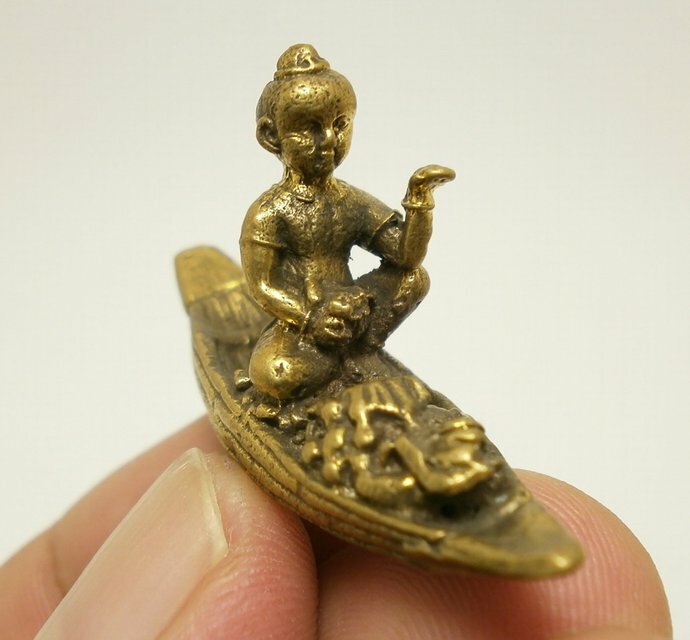 Kuman Thong is a Ghost of Baby Boy who was bind by Montra(Magic) to be Servant Son of the owner. When you have Kuman Thong in your possession .You will be magically success in anything you wish.By the power of Kuman Thong, you will get Lucky especially if you are Investor in Stock Market or Gambler in Casino & Lottery.Kuman Thong will help increasing your Prosperity. 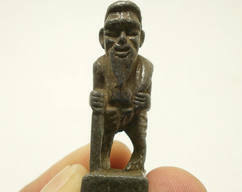 Good Luck Builder ,Wealth& Prosperity Amulet. 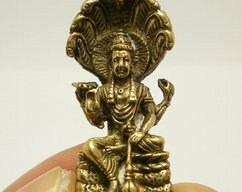 It will make a fantastic gift for someone special or for a collector of Asian antiques.Keep it with you for Luck builder & Prosperity Power or keep it in your house .This is a fabulous collector's item indeed! This Kuman Thong Amulet will bring you Luck, Good things will unexpectedly happen to you.It also make you success in anything you hope for.This Amulet will bring Prosperity and ensure success in human endeavors. 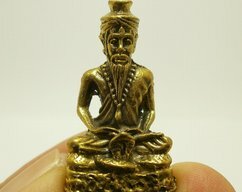 I sell only genuine antique Thai Amulet ,Pendant. In this world economic crisis. 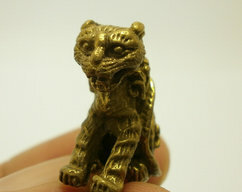 It's a good thing to have Thai antique Amulet with you. It will help to prevent any Bad things and protect you from Evil. It also brings Luck, Wealthiness, Fortune and encourage you to fight any obstacle with a powerful help of Ancient Magic.It's also Beautiful and very nice for your Antique collections too.